This Original paperback has had a touch up to the spine paper with very grubby covers and spine paper. The page block is also dark but internally not as bad as you'd think it would be, tightly bound with an excellent John Wisden photoplate. If you do not mind a touch up or two this is the perfect Wisden for you at a great price. 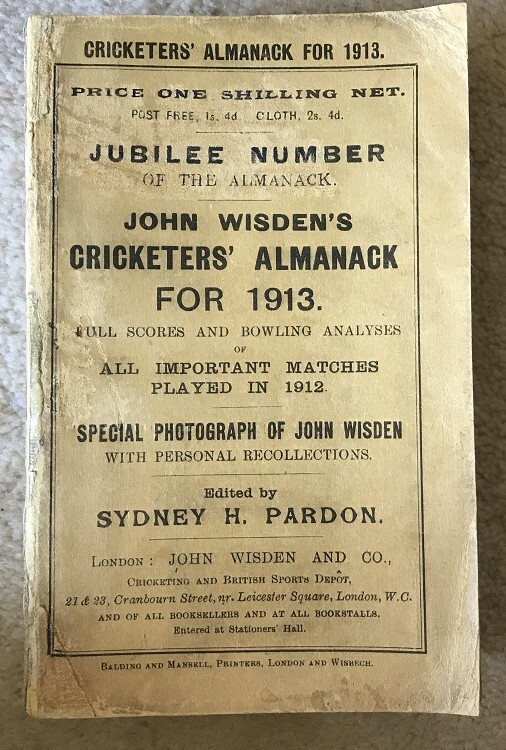 We are delighted with WisdenAuction hence this is out fourth run (from 18 87 to 19 42) that we are listing , hence many other years are available, please contact us if you want to know more about the other runs.